Develop an interface for a multi-part hardware device that will process, scan, and analyze a digital DNA sample. Understand the clinic environment so workers will be efficient in processing and reading results. We invested a great deal of time upfront in understanding the challenges of the audience. Since the product was to be used in a clinic environment, all of the happenings and distractions were taken into account as we designed a graphical system that users essentially could read from a distance. This enabled users to set up processing and then monitor broadly without having to approach the machine and sit down. This saved a great deal of processing time. 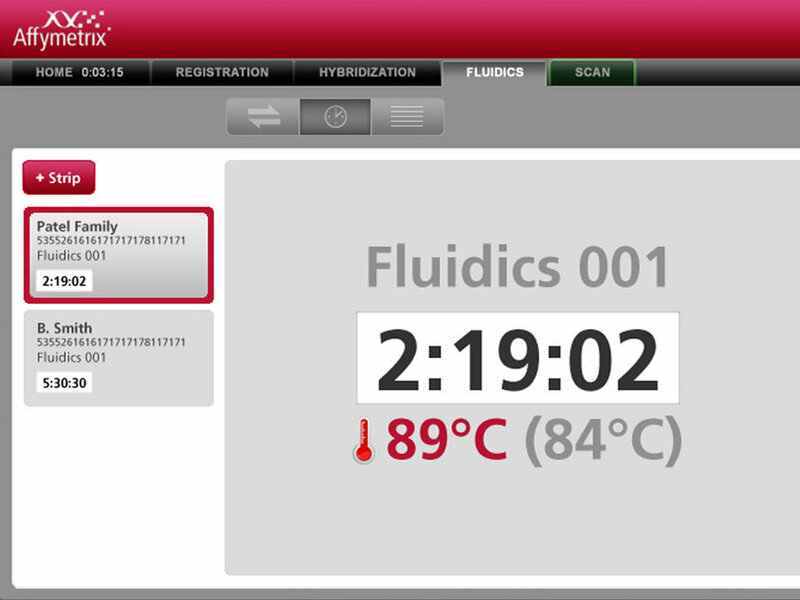 Additionally, this was the first product interface that emphasized the Affymetrix brand. The identity was featured prominently - and went on to continue to shape and emphasize the Affymetrix brand identity.